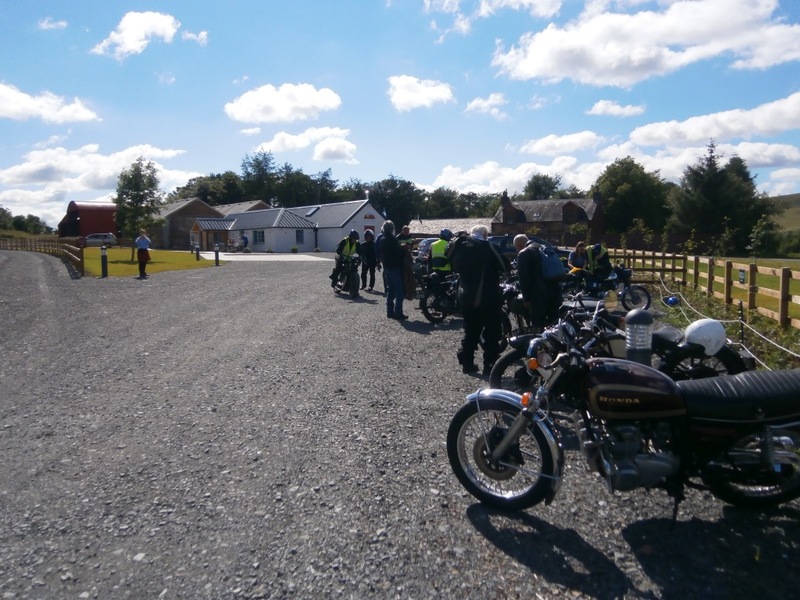 We meet at 19:30 on the Second Tuesday of each month at Dalserf Church Hall ML9 3BL, on the A72 in the Clyde Valley. 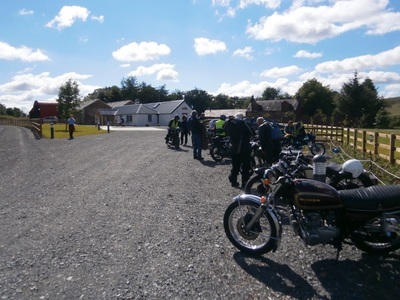 Follow the sign for the church then take the dirt track on the right behind the cottages to the church hall. Click on the Forthcoming Events button to see what's on. VMCC forum: forum.vmcc.net/index.php New and not without its critics but worth a look. 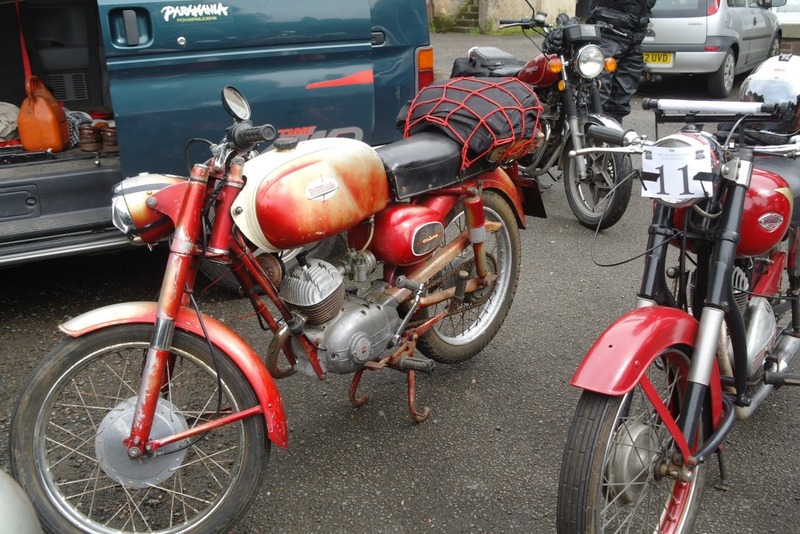 http://www.motos-anglaises.com/ A French web site with manuals and catalogues for pretty much every make and model of motorcycle - and mostly in English! 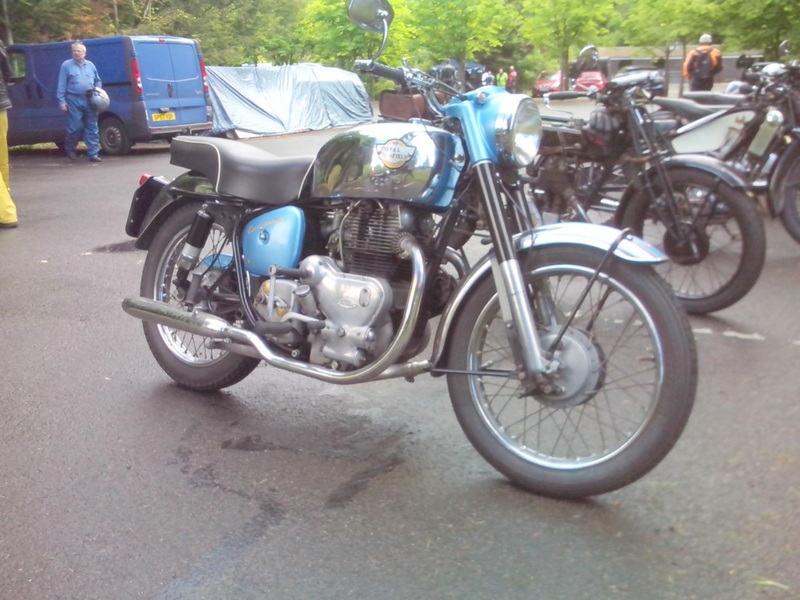 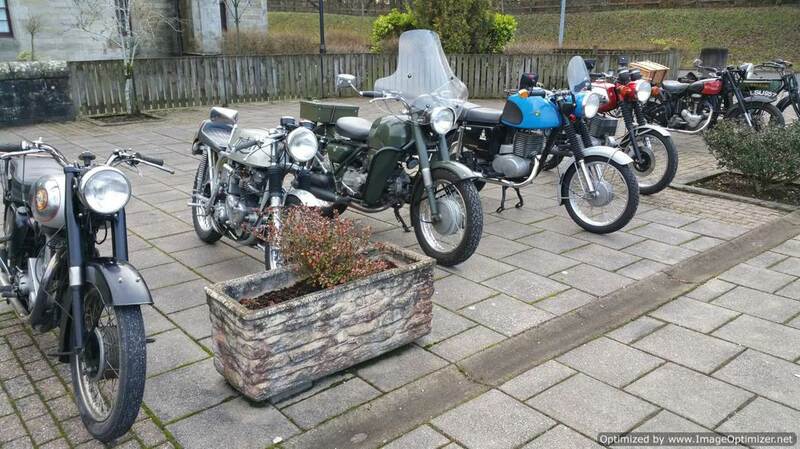 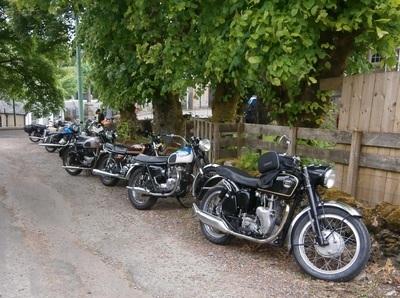 Distillery, Blackford, Perthshire PH4 1QG First bike away 10.45am See Don Riley 01698 854390 / Jim Leddy for details. 9th Clyde Valley Veteran Run. 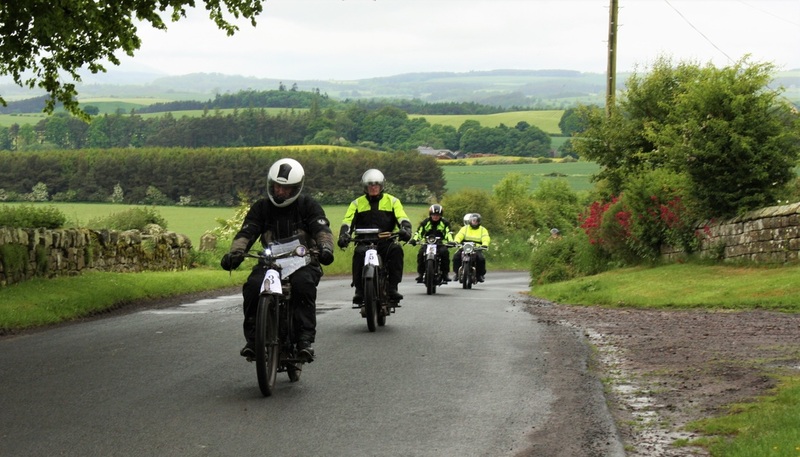 Route to be confirmed but around local roads. 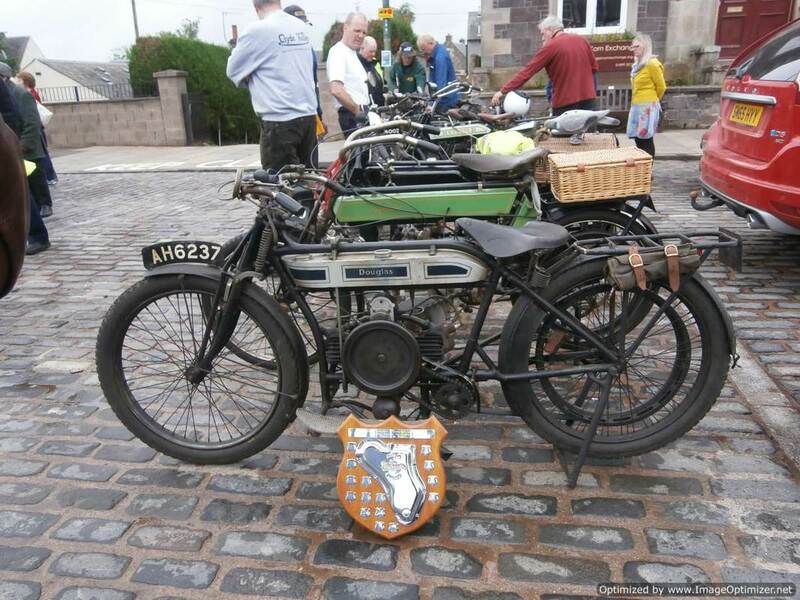 ​16 Jimmy Guthrie run. 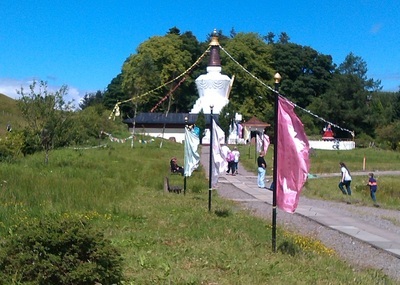 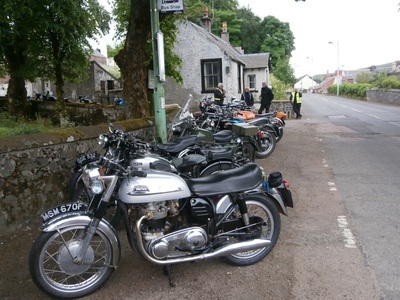 12:30 for 13:00 start, The Green, Denholm. 17 EAR Capital Café Run - The Rail Bridge Cafe, The Promenade, South Queensferry, EH30 9TA. Assemble 7.00pm. No activity at the Newliston Arms that evening. 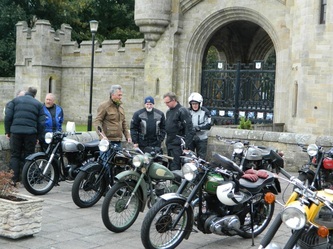 22nd (Saturday, to avoid car boot sale on the Sunday) Rock’n Roll Run. Aimed at 50s & 60s bikes. Starting Overton Farm, Rosebank. 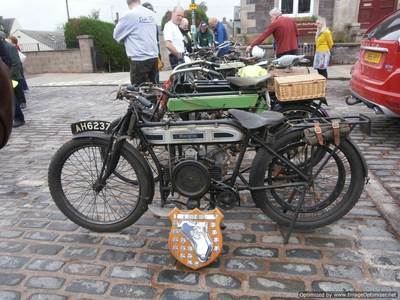 5th & 6th Early Motor Bicycle Run. Pre 1924 Veterans, route to be decided. 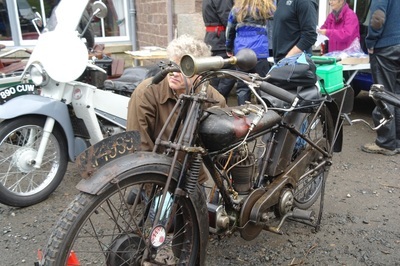 At the Haggis bash, John MacMillan dares anyone to lay an oily finger on his Ariel. 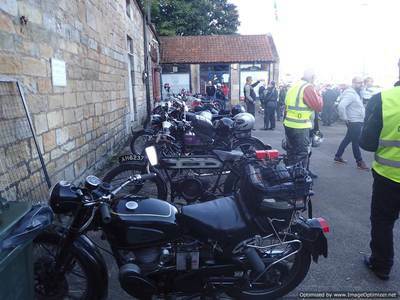 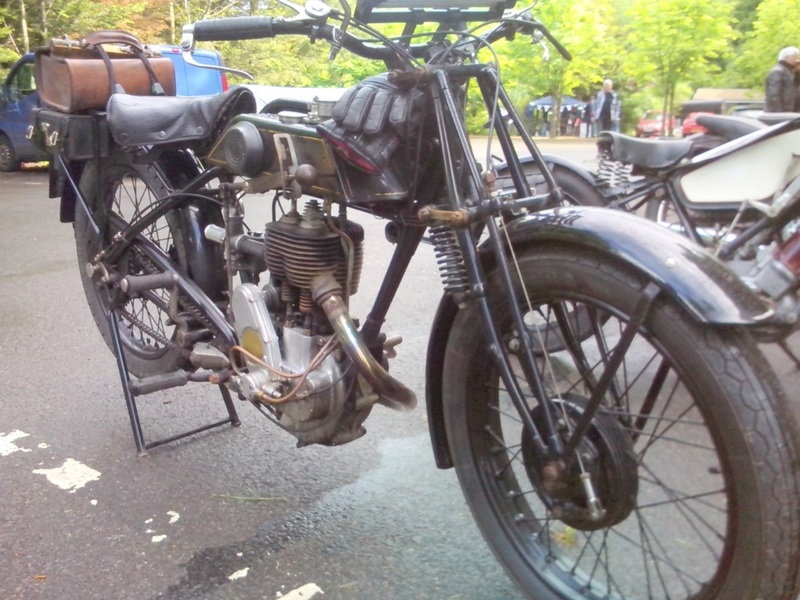 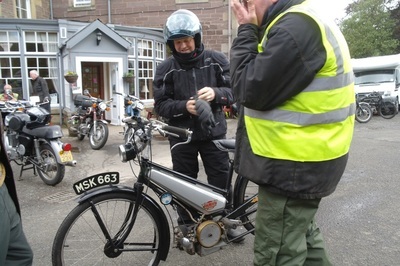 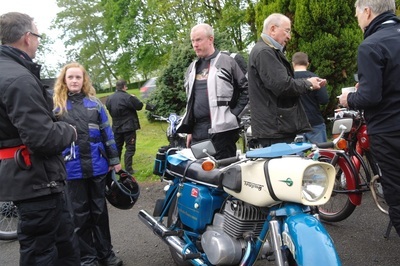 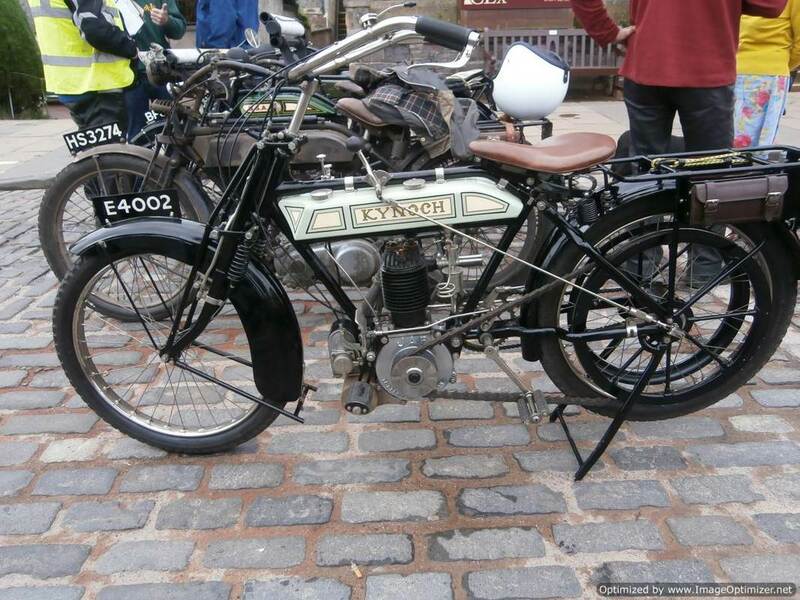 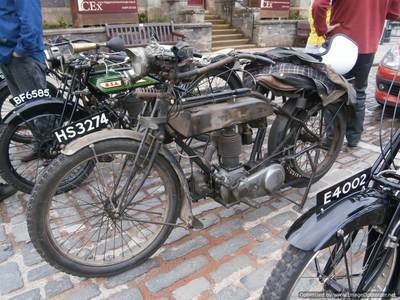 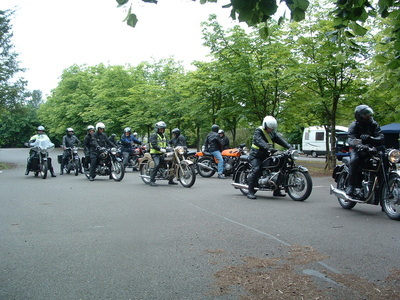 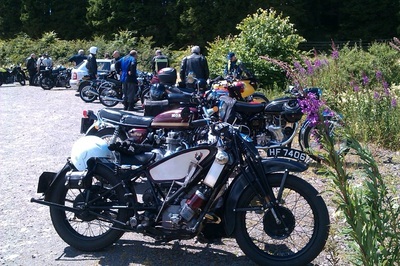 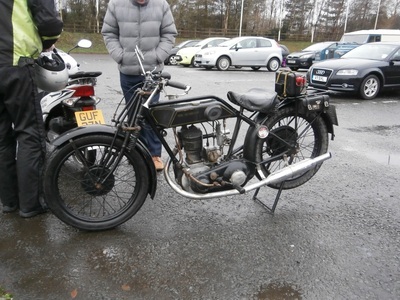 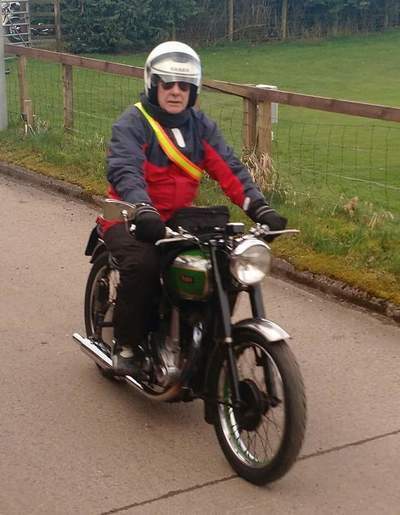 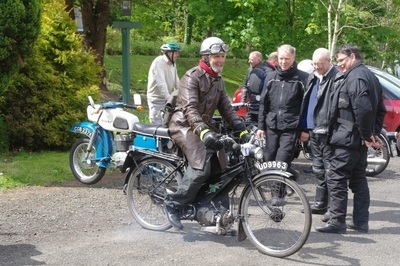 ​The June Early Motor Bicycle run attracted a good number of entrants and volunteer marshals. 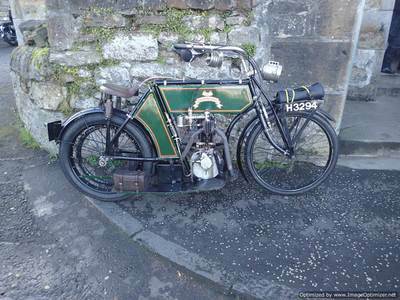 Pictured are a 1913 Douglas, a 1907 Kynoch and the most wonderfully patinated Triumph. 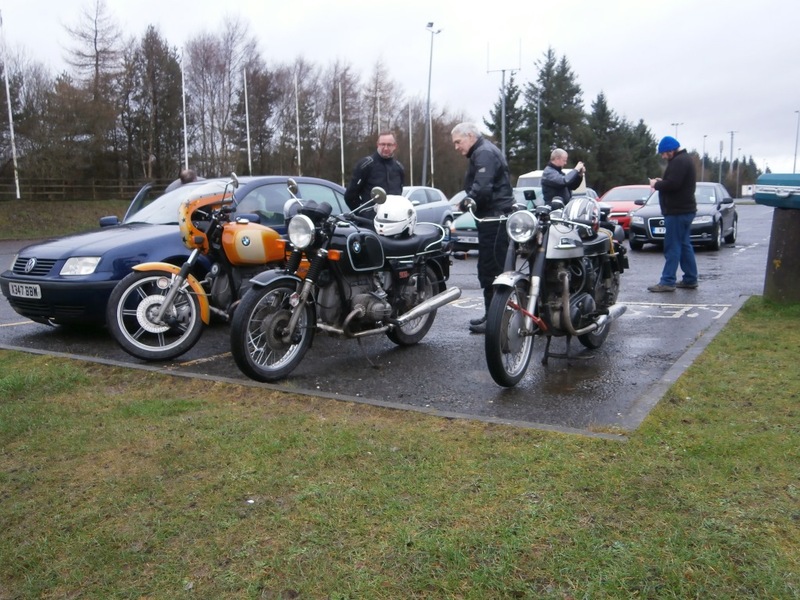 Brave souls turned out for the 2018 Chairman's run on 7th January. 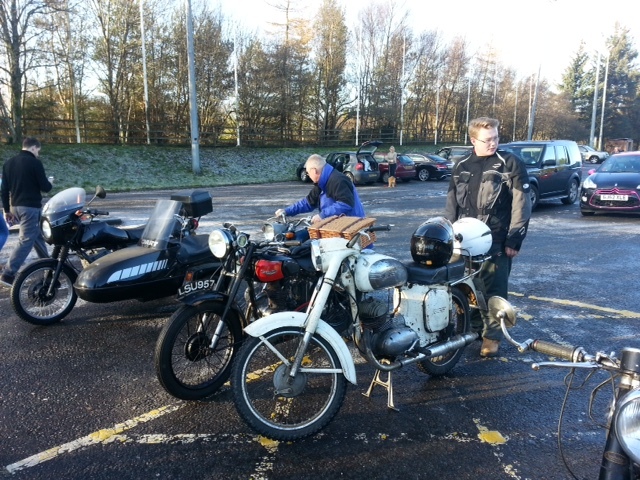 Lovely bright sunny conditions, the only downside being a temperature of -8 degrees. Sensibly we opted for a shorter route but did get to practice our ice riding skills. An interesting meeting of all the VMCC Scottish sections at Doune on 28 October. 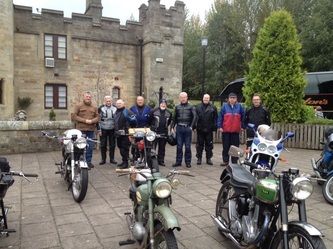 Clyde Valley was well represented with 4 committee members attending. 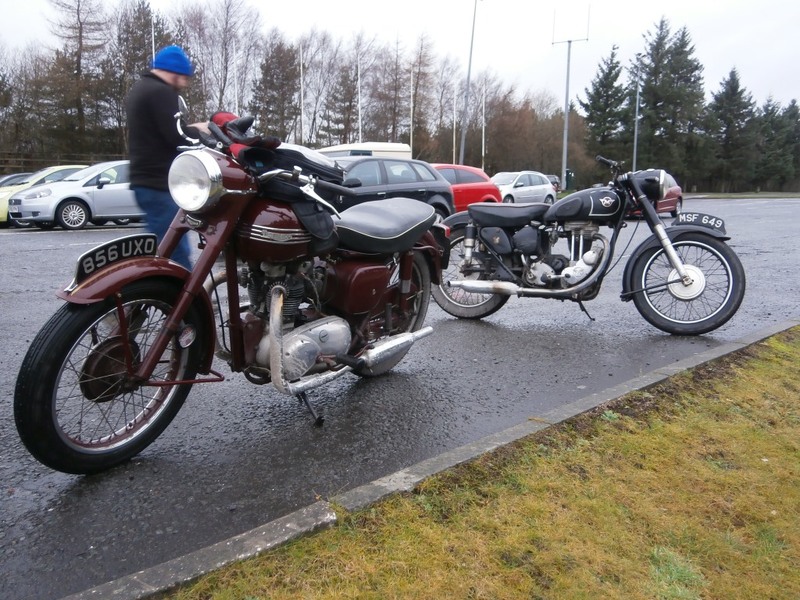 Clyde Valley were also the only ones to turn up on motorcycles. 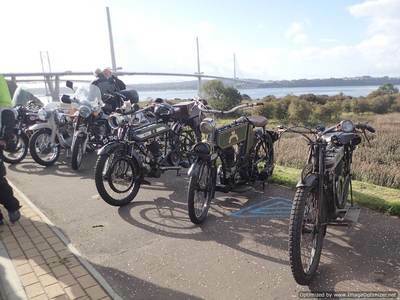 Did we feel superior? Were we smug? Certainly not. As well as classics, Clyde Valley added veterans to the Reivers crossing of the new bridge. John MacMillan even bravely wrestling the VMCC's 1903 Dreadnaught through the junctions and traffic. 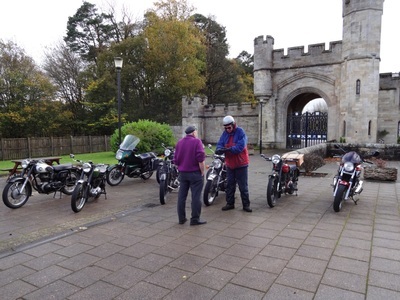 A great if somewhat damp day out. 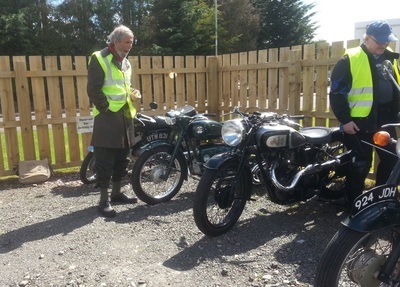 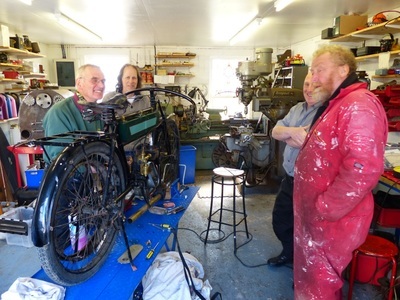 John McMillan admires Tim Ryan's newly restored Rudge. 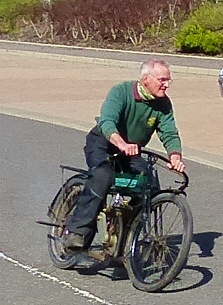 George Martin in the fetching shorts cycled out from Peebles to see us off - and ended up driving the sweeper van. We are pleased to report that there were no problems or incidents throughout. 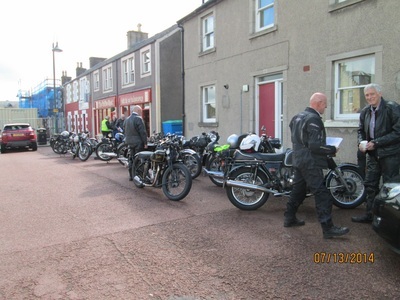 The sound of all these singles and a Ducati twin climbing up the 1 in 5 from Talla to Meggat must have been quite something. 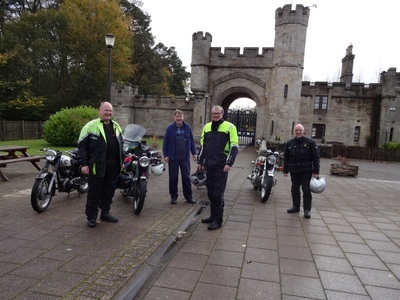 Clyde Valley was well represented at the wet, foggy Bamburgh run. 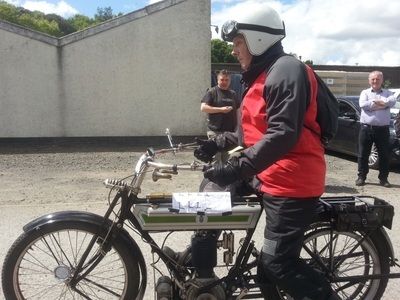 Here Gordon Johnston on his 2 3/4 HP Douglas is hotly pursued by John MacMillan on his Rudge Multi. 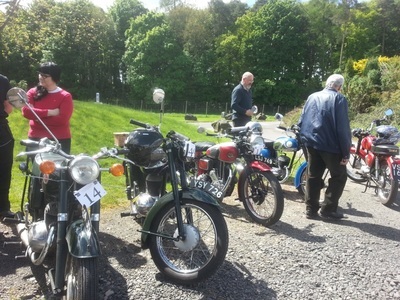 The 2016 Tiddler's Tootle attracted over 70 entries and was rewarded with glorious weather. 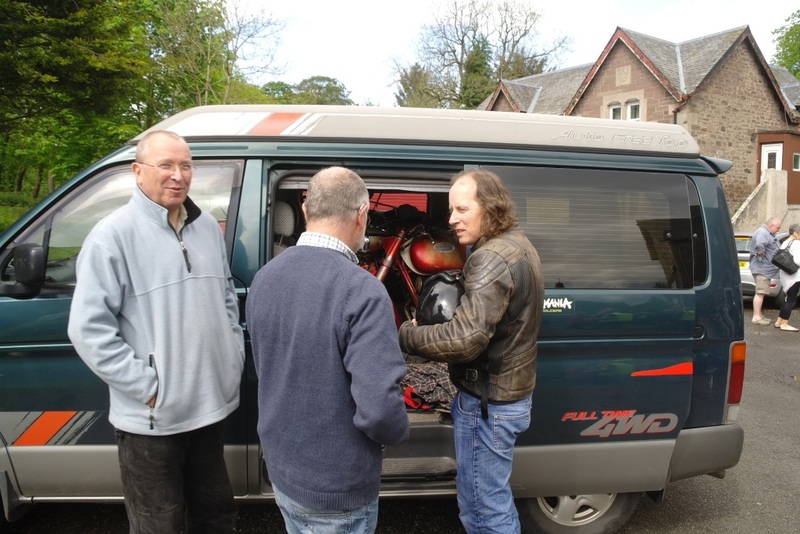 Once again, the sweeper van collected the traditional MZ. 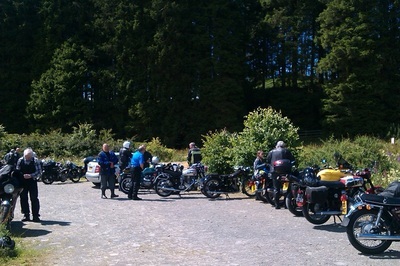 The sun shone for the Sound of Singles. 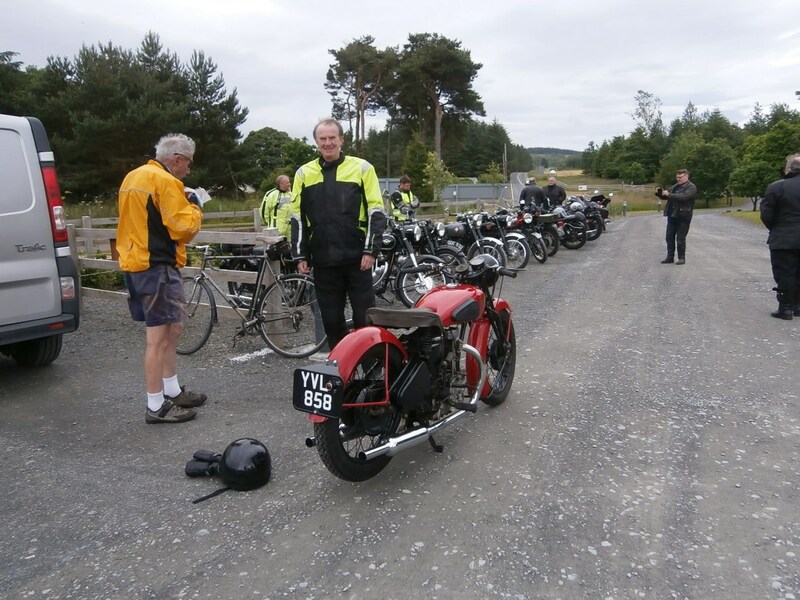 Great roads, great scenery and very little traffic to contend with. As good as it gets. The Rock 'n Roll run attracted a good entry and was rewarded with ideal riding weather, all the better to appreciate the superb route. Bikes pictured at the Leadhills lunch stop and at the off. 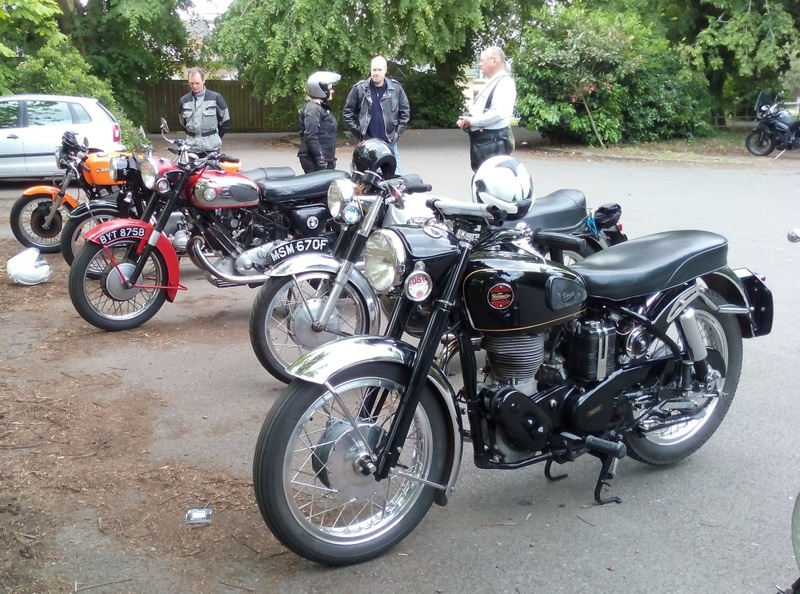 The Tiddler's Tootle on 25 May attracted a big entry and was a resounding success with a fascinating and varied array of bikes taking part. 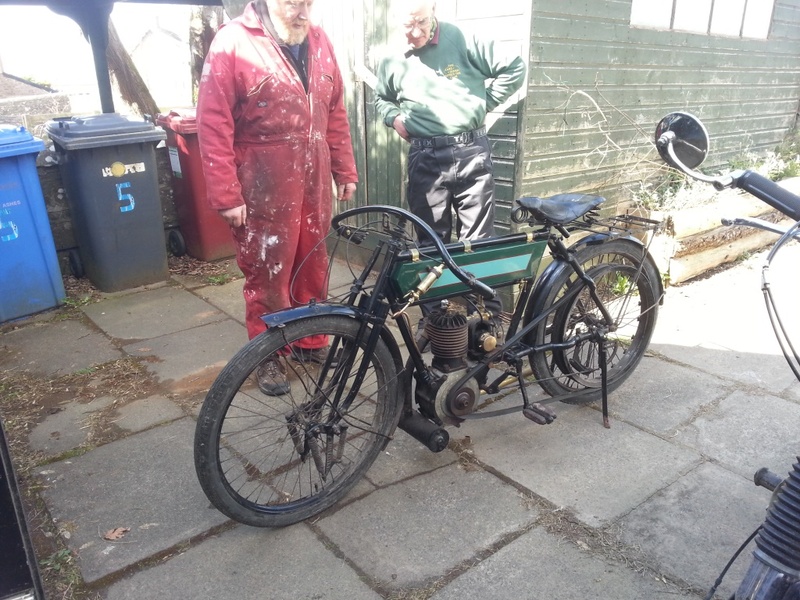 An almost trouble-free run, with nothing more than a battery transplant required. 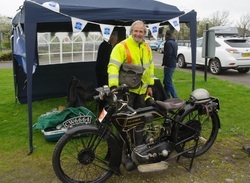 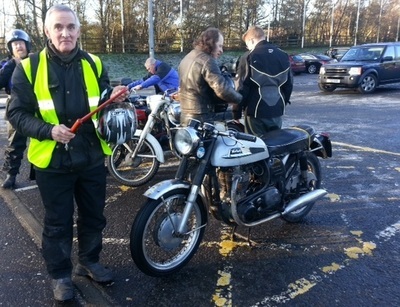 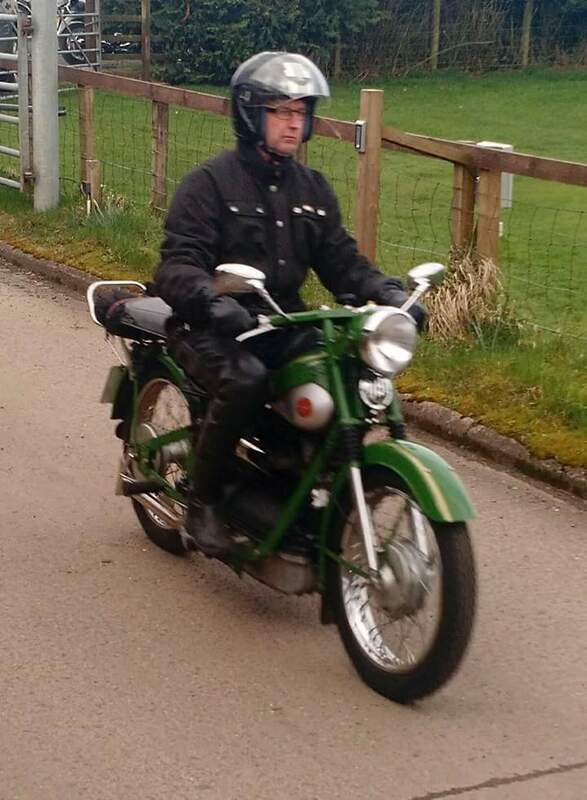 Geoff Brazendale made it from Cumbria to our Abington checkpoint during the Founder's Day Relay Rally on 4 May. 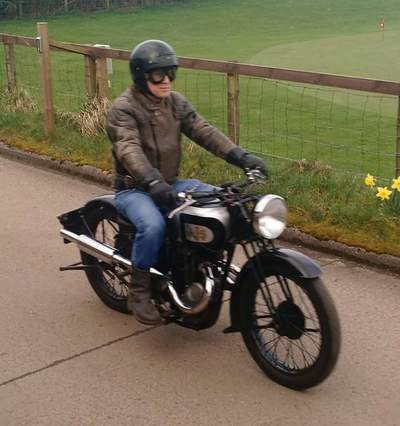 A great ride on the Sunbeam! 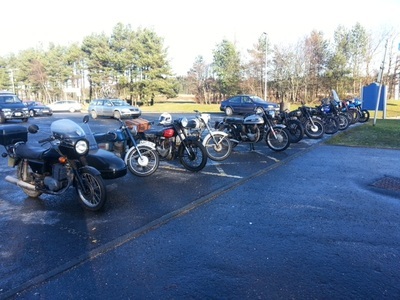 Despite the dreadful forecast, a dozen bikes turned up for an enjoyable winter ride. 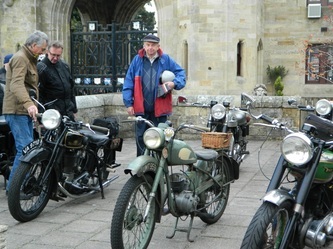 Here are just a few of those present. It rained - boy, did it rain. But that didn't stop 17 riders and 2 pillions having a great day out on some excellent roads. 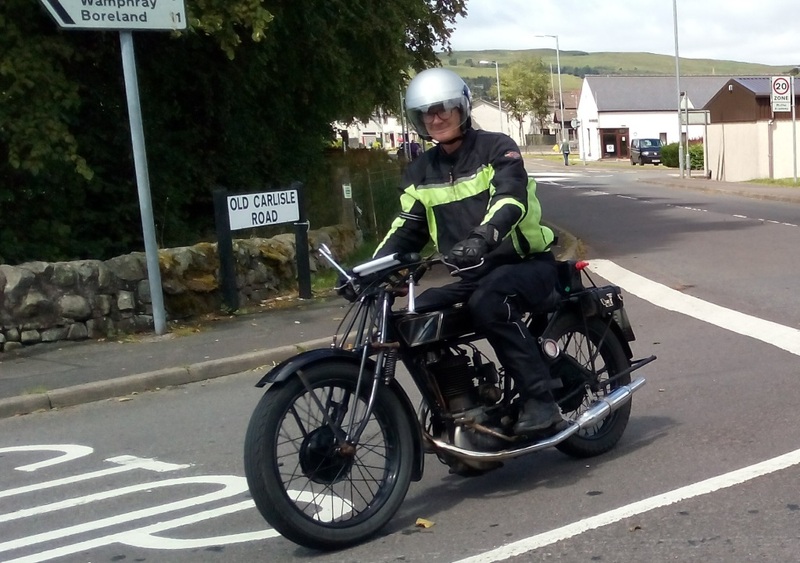 (Typing with a cat biting my fingers - please excuse any mistakes. 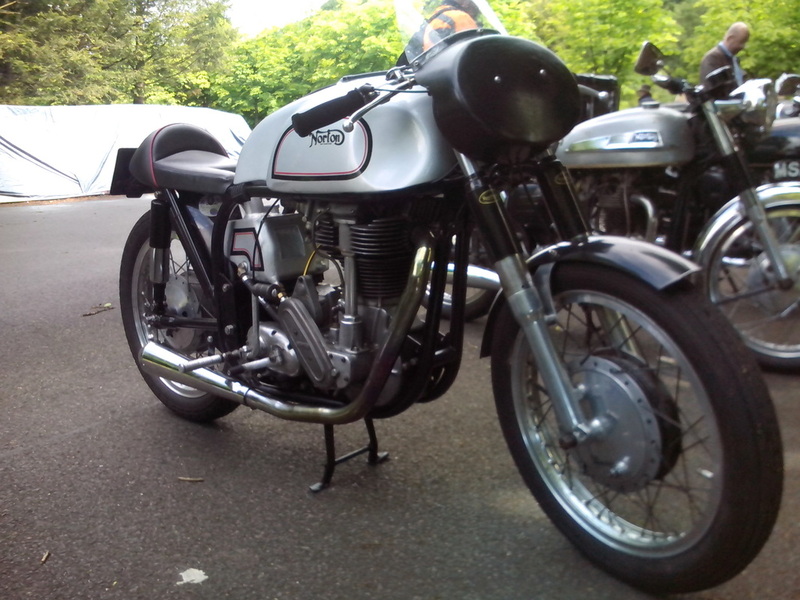 Ouch). Pictures taken at the start at Crossford before the rain got going.